When we were first introduced to Damonte, it was evident that humor was in his DNA. He was known for making everyone laugh, adults and peers alike, with his witty sense of humor. He maintained this quality despite his circumstances; his father was in jail and his mother had spent her final years in a different city as she battled a terminal illness. Damonte maintained a relationship with his father through phone calls and written letters but, as any kid would, longed to see him more frequently. Throughout these difficulties, Damonte lived with his aunt, as his mother felt his aunt would be better able to care for him. At school, Damonte’s teachers knew that joking around was a way to cover up the strong emotions he was feeling. Damonte felt guilt for not being able to care for his mom in her final years. His younger brother also struggled with her death, deepening Damonte’s desire to remain strong in order to help his brother. 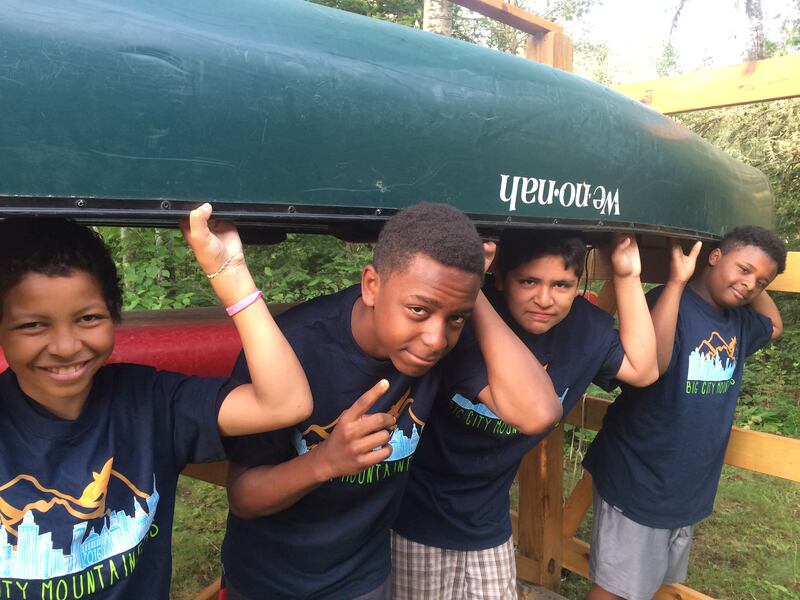 When the opportunity arose for Damonte to participate in a BCM expedition to the Boundary Waters Canoe Area Wilderness, the adults realized this could be transformational for him. Damonte would be introduced to male mentors who could help fill the gap of an adult male in his life. Furthermore, Damonte was an easy selection for this trip – he was strong and capable and would be able to meet the physical challenges of the adventure. While on expedition, Damonte immediately stood out as a leader among his peers. He was encouraging to everyone and did not hesitate to help his peers portage their canoes. The mentors observed steady growth in him as he learned new skills, encouraged his friends, and witnessed the adults open up emotionally as they reflected on their experiences around the campfire each evening. In the words of one of his mentors, “Damonte was always the tough guy, trying to be the fastest, funniest, strongest, and didn’t recognize it was okay for guys to show an emotional and gentle side.” Through his interactions with mentors on the trip, and experiencing the challenges that a week in the wilderness provides, Damonte began to open up more. He was shedding his tough guy shell and began to realize it’s acceptable for men to express the emotions that they’re feeling. Damonte had such a successful first trip that he returned for a second season, continuing to show his strength as a leader and comedian. He’s continuing to learn how to process his emotions but has a week in the Boundary Waters, surrounded by caring mentors, to thank in part for uncovering his potential and kickstarting his journey to growth. Help more youth experience the inspirational power of the outdoors – become a member of the Skip Yowell Legacy Circle today!